Senate Republicans have put forward a tax plan that would give corporations a permanent tax cut while raising taxes on millions of families. The plan would be a windfall for the richest Americans: In 2027, nearly 62 percent of its benefits would accrue to the top 1 percent. Yet, many families would end up paying more at tax time. And because the bill would increase the deficit by more than $1.4 trillion over the next 10 years, it would trigger automatic cuts to important government programs—including $25 billion in cuts to Medicare in 2018—resulting in additional burdens on working- and middle-class families. 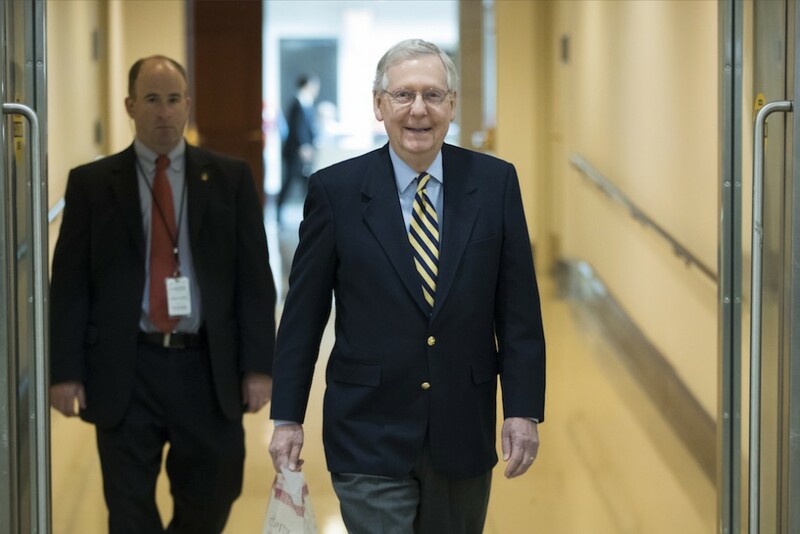 The Senate majority bill threatens access to affordable health insurance by eliminating the Affordable Care Act’s individual mandate, which would drive up premiums by 10 percent in 2019. And under this bill, all other changes on the individual side of the tax code expire after 2025, with one exception: changing the inflation measure used by the tax code to the chained Consumer Price Index. This change actually raises taxes on individuals, since tax brackets, credits, and other provisions would grow slower than under current law. According to the Tax Policy Center, even when benefits to individuals from the bill’s corporate tax cuts are included, 87 million families making less than $200,000 nationally would experience a tax increase under the Senate tax plan by 2027. 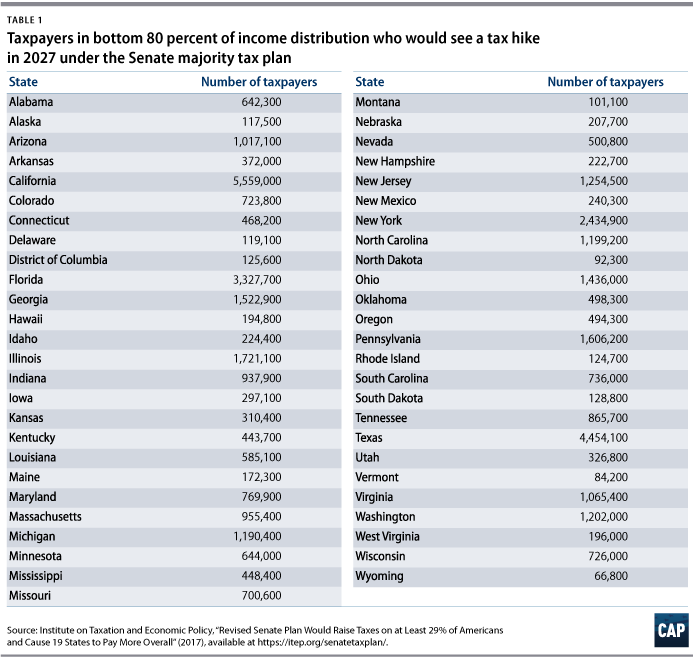 Institute on Taxation and Economic Policy (ITEP) simulations provide state-level estimates on how many families would pay more in taxes under the Senate majority plan in 2027. Here, we present the number of families in the bottom 80 percent of each state’s income distribution—those with incomes below $95,270 to $206,160, varying by state—that would receive tax increases, based on ITEP’s simulations. The number varies from state to state due in part to differences in population across states, state and local tax rates, and sources of income. All but three states would see more than 100,000 families with tax increases in 2027. In 14 states, more than 1 million families would see tax increases in 2027 under the plan. Alex Rowell is a research associate for Economic Policy at the Center for American Progress. Andrew Schwartz is a policy analyst of Economic Policy at the Center.